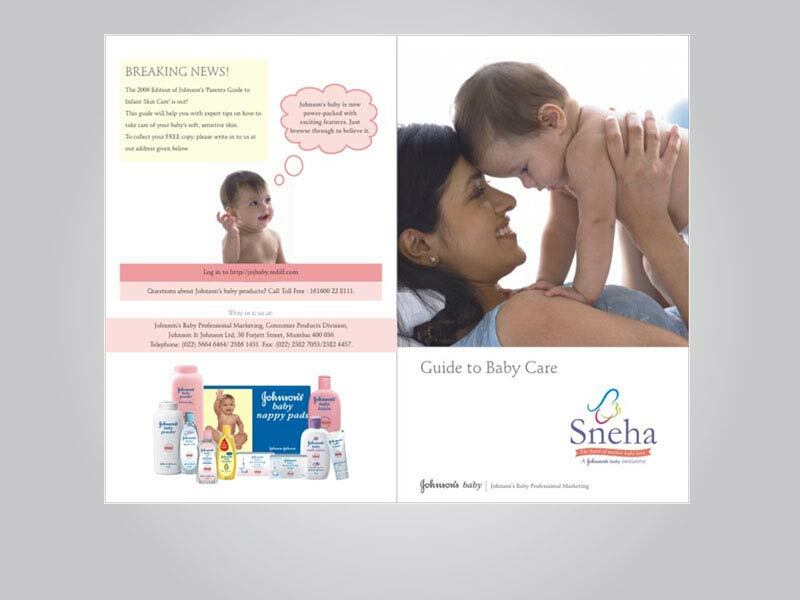 Johnson and Johnson the name synonymous with baby care and bay products the world over. One fine day Collateral gets a call from a Nokia representative saying someone in the Professional Marketing Division of JnJ is looking for an agency and Collateral have been recommended. Johnson and Johnson the giant? Just like that…? After a couple of missed meeting due to clash of dates we finally meet the PMD head of Johnson and Johnson. The brief is clear. We need to support the team in creating communication campaigns and collaterals that will help them promote the Johnson and Johnson product range of baby products. Now PMD’s role is a bit different, in that they do not contribute directly to the sale of the products. Their job is to create awareness via various programs such as Doctor contact initiatives, Nurse contact and training program, and the likes. The Johnsons baby portfolio is fairly large and has been thought through and has products that help a mother in taking care of the various needs of her newborn. Digging deeper these products are divided in four regimens: Massage, Bathing, Shampooing and Nappy care. Coming from a clinical and research background Johnson and Johnson has over the years made a step-by-step detailed approach for each regimen. Since the products cater to infants and babies they go through stringent research. This research has enabled Johnson and Johnson to create two great properties around their baby products the first being No More Tears (NMT) in the Johnson baby shampoo and the other being ‘Clinically Proven Mild” (CPM). These two properties form the core of any communication designed for the Johnsons Baby range of products. All this was done under the one word positioning of ‘Touch’. Touch since the baby can only recognise the mother’s touch as the baby’s sense are not fully developed till the age of three. Hence the Johnson and Johnson adage of ‘A baby is a baby till three’. The mother’s touch leading to the smell become a bonding factor in their lives. Back to the four regimens… These steps cleverly highlighted the various products that could be used at various stages of the regimen. 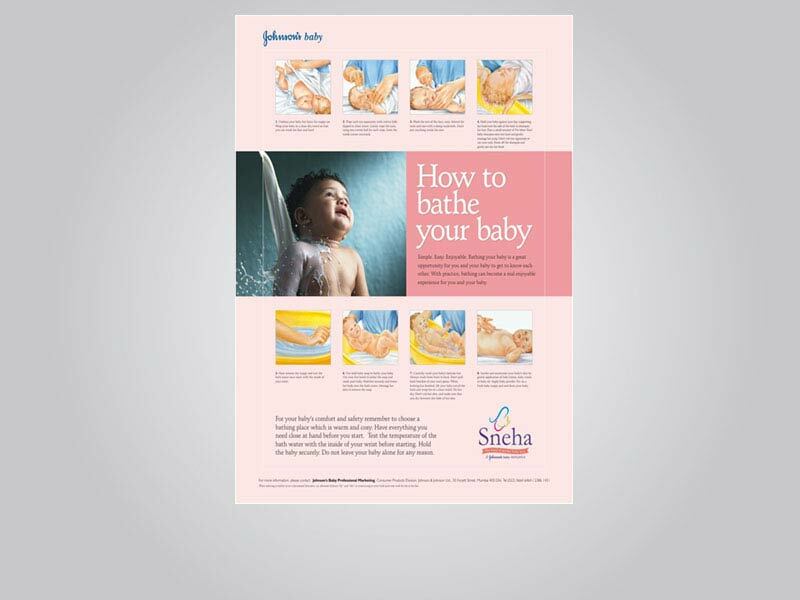 Messaging with the Johnson baby Oil, followed by the No More Tears baby shampoo, and the clinically proven mild Johnson baby Soap, post the bathing comes the Johsnon Baby Powder with the particle being platelets shaped for easy application on the baby’s tender skin. This was followed by the Johnson Baby Nappys to complete the regimens. Collateral having understood these we designed some interesting posters, direct mailer and a plethora of collaterals for the various programs.